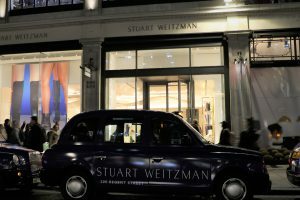 This autumn Sherbet Media ran Stuart Weitzman’s out of home advertising campaign on iconic London taxis. 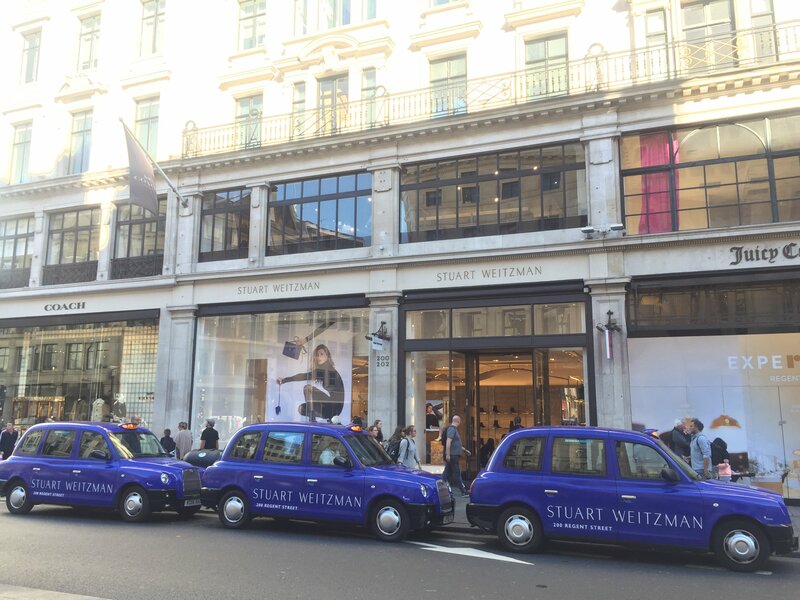 Full livery adverts reflects the brands colour and logo bringing public’s attention on the city streets. 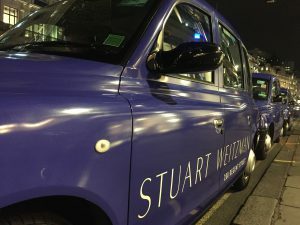 Each Stuart Weitzman taxi had branded receipts and tip up seats as well as digital adverts featuring world’s top models who advertise Stuart Weitzman’s classic boot shoes. 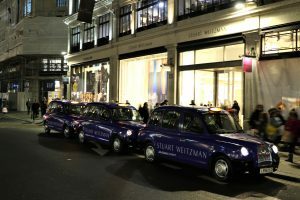 In addition taxis were present at the Stuart Weitzman’s private VIP party at Regent Street for photography and press purposes.